Echoing the its sharp and sleek profile, the slash-combined speakers and thermal intake on the operating surface deliver an aerodynamic visual effect. 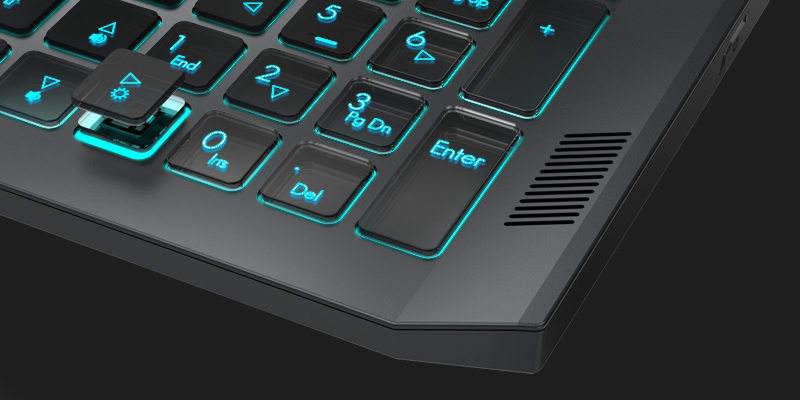 Moveover, its trapezoidal translucent glass area not only shows the details of the AeroBlade and the thermal pipes, but also works as a fully-functional functioning touchpad. Inherited from the legendary gaming machine—Predator 21 X, the Falcon Triton 700 demonstrates its shows evident angular details, attention-grabbing accent highlights, and robust thermal exhaust in a much slimmer profile without decreasing the visual impact.